HealthWise is our thoughtful collection of healthy gift baskets designed with keen attention to wellness, special diets and exercise. Introducing our HealthWise gift baskets - a collection of healthy gift baskets designed for wellness and special dietary use. We were talking to a New York City area nutritionist and long-time customer of Manhattan Fruitier, who told us that we didn’t do enough to promote the health attributes of our gifts. 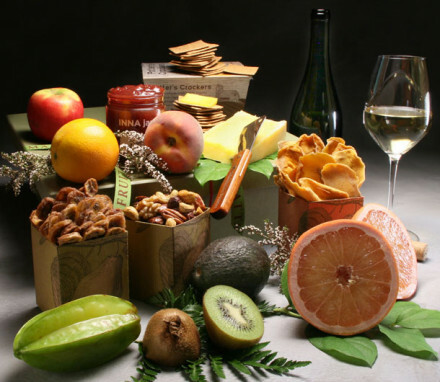 We took her comment to heart and began to focus on promoting the healthy nature of our fruit gifts and developing a line of gifts for special dietary needs. So whether you’re in search of a healthy care package or a healthy thank you gift box, we’ve got you covered. 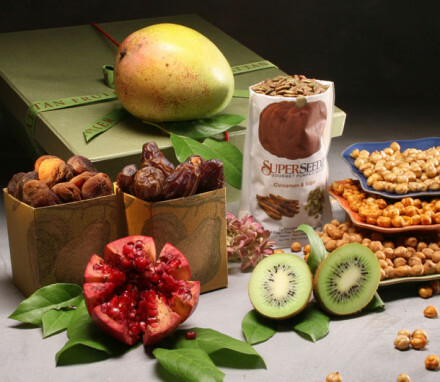 Although fresh fruit is already known to be a healthy food full of nutrients, our healthy food gift baskets take it one step further and incorporate fruits that contain vitamin, mineral, fiber, caloric and glycemic index profiles that are compatible with selected nutritional and dietary plans. Looking for the perfect gift for the health conscious foodie on your list? 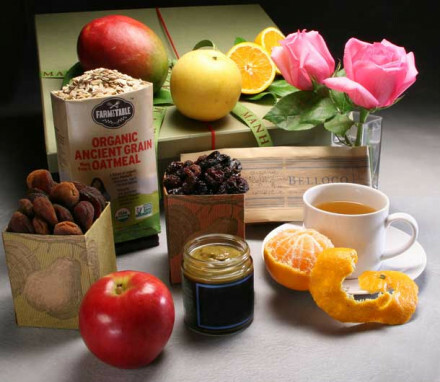 Send one of our organic food gift baskets brimming with certified organic fresh fruits and artisanal treats. Send thoughtful and delicious certified gluten-free treats and delight your recipient. Add seasonal fresh fruit for the perfect gluten-free gift basket. Finding a delicious and vegan gift doesn’t need to be impossible. We offer handcrafted vegan gift baskets that are sure to impress and wow anyone following a vegan diet. Luxurious olive oil, sweet balsamic vinegar, and artisanal bread are just a few of the flavors found in our Mediterranean gift baskets. They’re the perfect gift for any healthy foodie. If you are looking to send a gift from the heart, why not send a gift basket that is also good for the heart? Our heart healthy gifts feature delicious low-sodium foods perfect for a healthy heart. 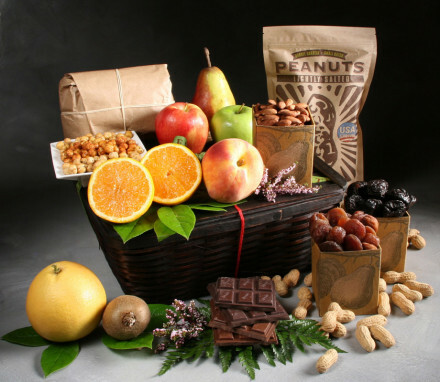 Our gift baskets for diabetics are delicious and will show just how much you care. Filled with low glycemic fresh fruit and snacks, they’re the perfect diabetic-friendly gift. Delight the yoga enthusiast in your life with one of our healthy yoga gift baskets. Filled with organic treats and yoga accessories, these gifts enhance the body, mind and spirit. Send your best wishes to new or expecting moms with a special Mother Nature gift basket. Handcrafted just for new moms, they’re filled with fresh fruits and snacks containing essential vitamins. Looking for a gift that’s sweet and healthy? 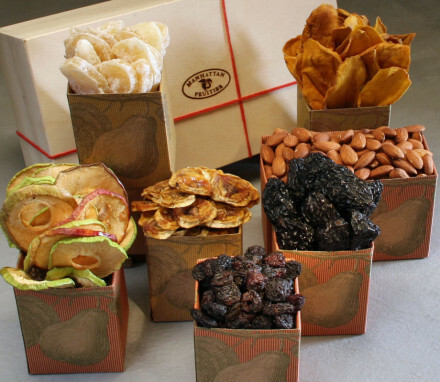 Send one of our dried fruit and nut gift baskets. They’re perfect for any occasion and are shipped free nationwide!